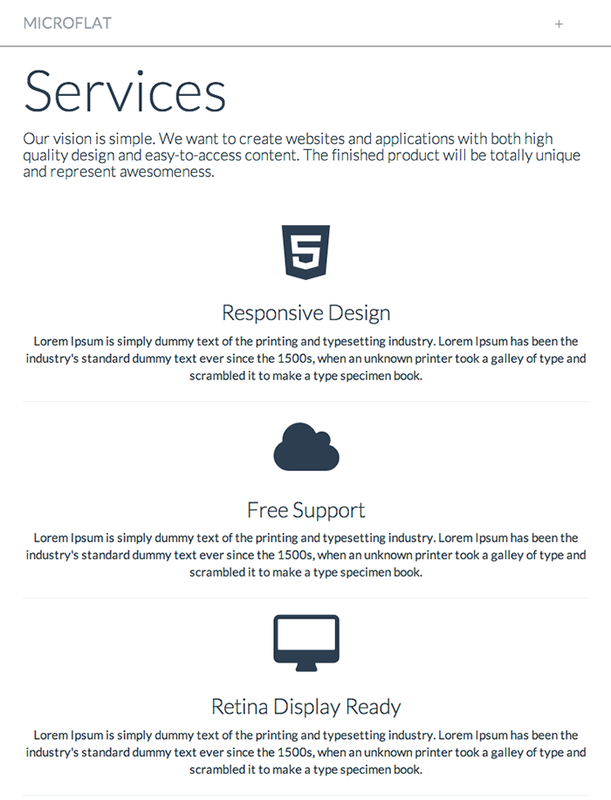 Minimal Single Page Website, HTML5 Responsive Multipurpose Template, Responsive & Retina Ready. 01 Single Page Website. Smooth scrolling. 02. Twitter Bootstrap 3 based. Responsive Design. HTML5 & CSS3. 04. Image Slider & Text. 05. Lightbox Photo / Video Gallery. 09. Well Documented. (Includes a Bootstrap Web Elements Set). Images in the demo are for demonstration purposes only and are not included in theme package. (You will receive place-holders). If you like this template please rate it. Thank you for your support.